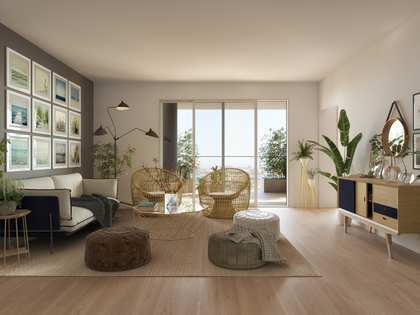 This property is part of the Badalona Beach. 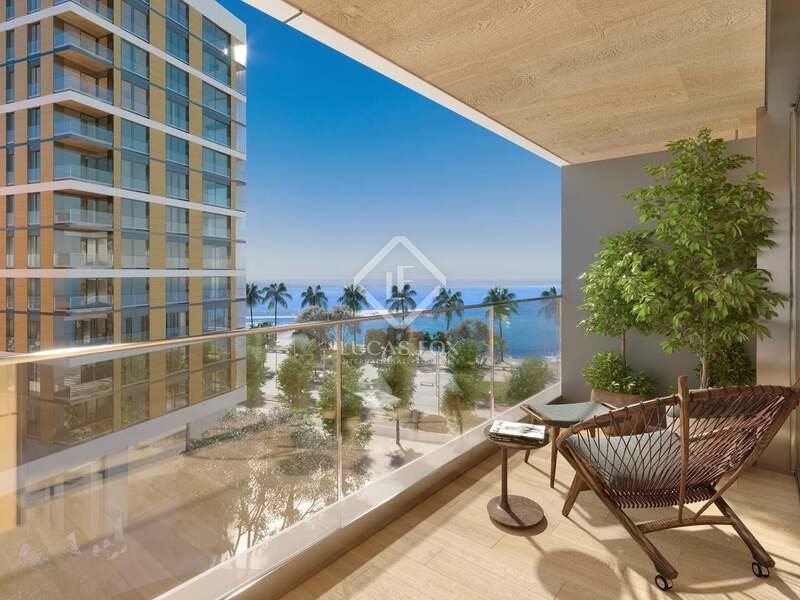 A new development of excellent 1, 2 and 3 bedroom seafront apartments for sale in Badalona with unobstructed sea views, walking distance to the beach and marina. 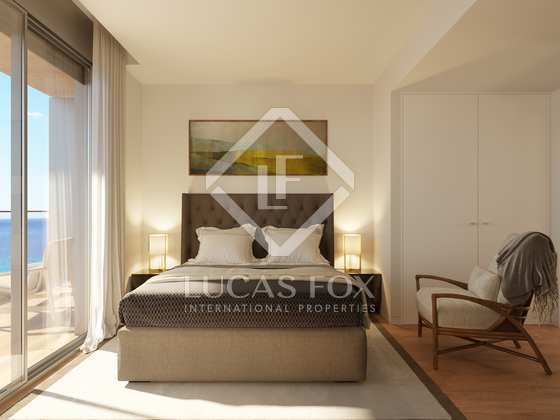 Excellent 3-bedroom beachfront apartment with a terrace for sale in Badalona. 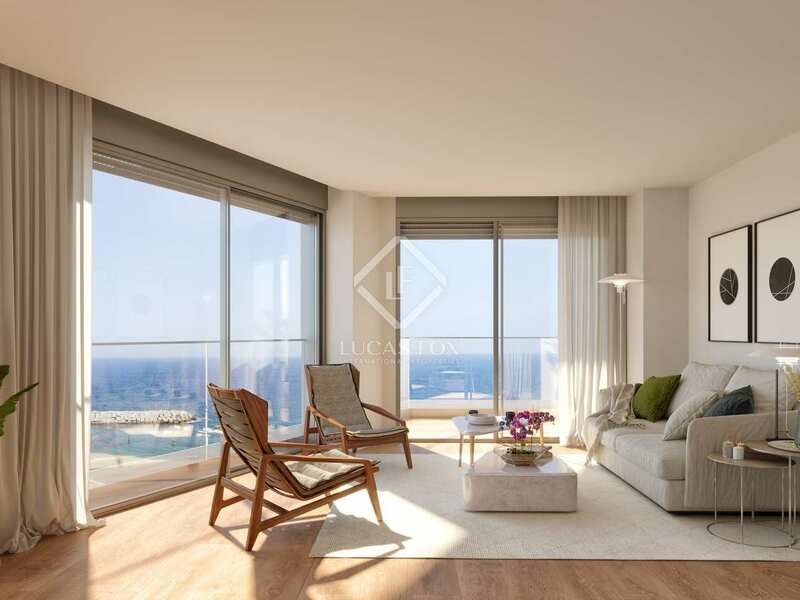 Designed by Joan Pascual and Ramón Ausio, prize-winning architects and designers of the new Camp Nou, the new development – Badalona Beach Apartments – offers this 3-bedroom apartment in one of three modern towers with clean finishes and shops on the ground floor. 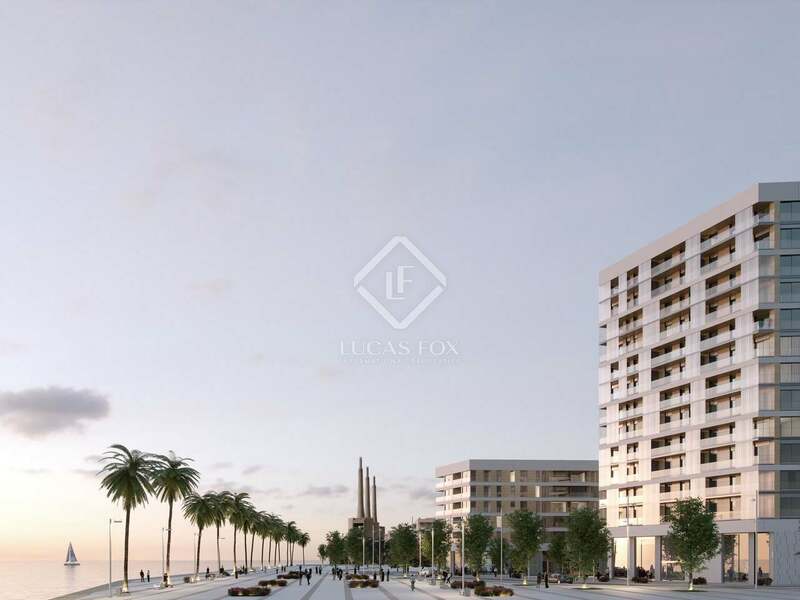 The development is located on a fantastic Miami-style seafront promenade with beach bars and palms trees and children's play areas; walking distance to the beach and marina and has excellent amenities nearby including bars and restaurants, supermarkets, schools and shops. The apartment has great views and a good, functional layout with a living room / dining room, kitchen, 3 bedrooms and 2 bathrooms. 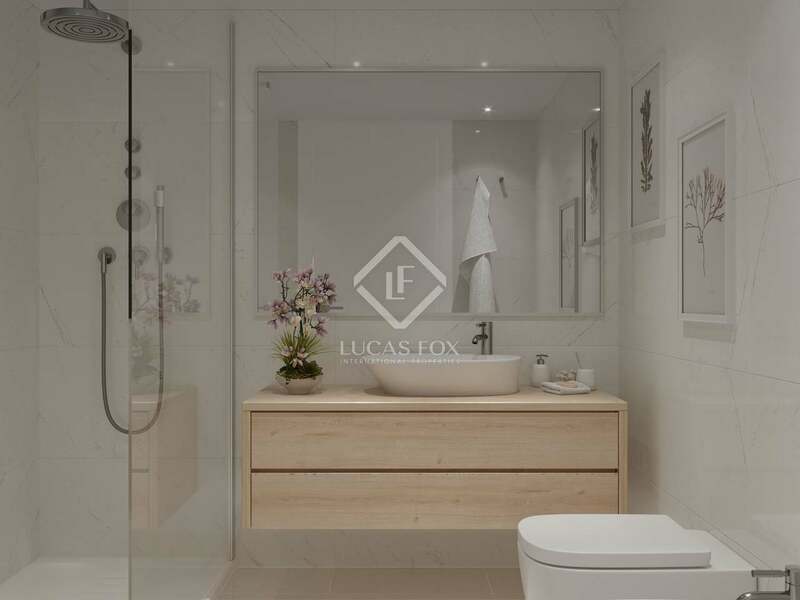 One of the bathrooms is ensuite in the master bedroom and both the living area and the bedrooms enjoy access to a fabulous 18 m² terrace. 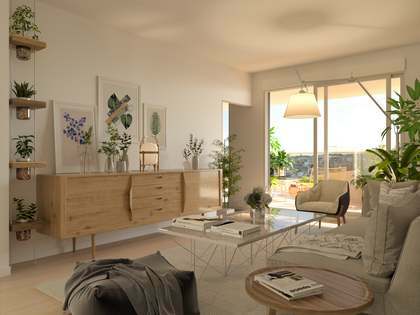 The property benefits from features such as underfloor heating, air-conditioning, a smart home system and aerothermal system. 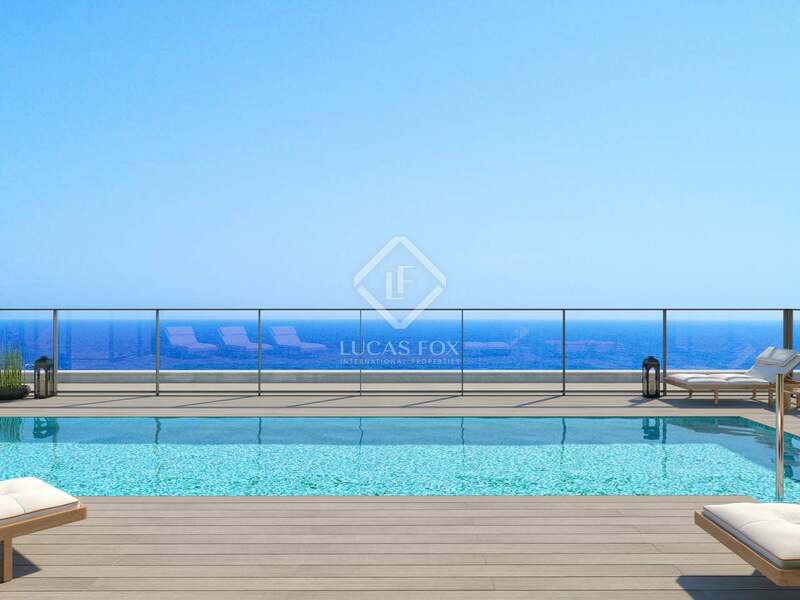 Each apartment is to be bought along with a garage parking space and storage unit for approximately €25,000 and there is a communal rooftop terracewith pool on top of all 3 buildings. Badalona is one of the most up-and-coming towns in Catalonia. 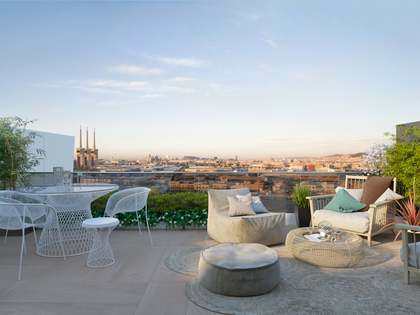 Home to the Gorg canal, a leisure port and 5 kilometres of beachline, it is an ideal place to enjoy the Mediterranean, surrounded by convenient services and with easy access to the centre of Barcelona.